We spent the past four days with Bo’s old buddy, Paul Broddick, fly fishing the White River from Wildcat Shoal all the way down to Buffalo City. We had daytime temps from the low fifties to ninety-five degrees, gin clear water, bright blue skies and really low water! 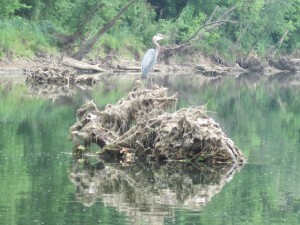 As you can see, even the Greater Blue Herons were having a tough time catching fish. Sunday night brought a big thunderstorm and Monday we had off-color water making fishing more difficult. 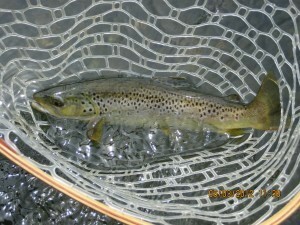 Regardless the guys managed some nice trout like this one and most were taken on #16 PBS Red Pheasant Tails. Thanks to Paul for having us as his guests in his beautiful Beaver Monaco Motor Coach. What a great way to go on a fly fishing trip! We will be back with clients on the Little Red River this week and we hope to see you out there.